Huawei has just revealed its latest powerhouses, the Mate 10 and Mate 10 Pro, the successors the Huawei's very impressive but massively underrated phablets from last year. What's has Huawei changed for 2017? Well, for a start, the Mate 10 joins the biggest trend of 2017 – going bezel-less. The Mate 10 Pro with a 6-inch, 18:9, 2160 x 1080 (HD+) resolution display. The regular Mate 10 will have a 5.9-inch display with 16:9 ratio and 2560 x 1440 (2K) resolution. Huawei are calling these 'FullView' displays, and both are HDR10. Elsewhere, the design is an evolution of last year's model, now with a glass black rather than metal. However, unlike the iPhone 8, Huawei has decided against wireless charging this year. The Mate 10 Pro features a rear-mounted fingerprint sensor, while the standard Mate 10 manages to squeeze one onto the front. Inside the both Mate 10 variants is the Kirin 970 chipset, backed up by 6GB RAM and 128GB storage for the Pro, and 4GB RAM and 64GB for the standard. 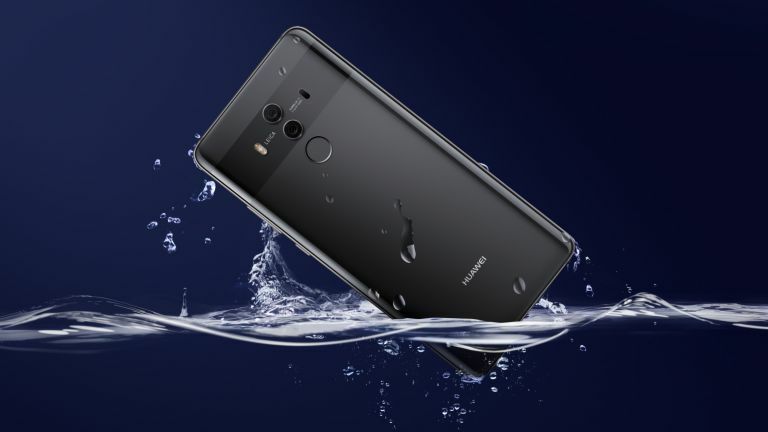 The Mate 10 features expandable memory, while the Mate 10 Pro doesn't, but, the Pro is now also water resistant with an IP rating of 67. Those specs only tell half the story, because Huawei claims the Kirin 970 is the first AI Processor with a dedicated Neural Network Processing Unit. Huawei hasn't rested on its laurels in the camera department either, despite the Mate 9's brillant camera. Both phones will feature Leica branded dual cameras, combining 12MP RGB sensor and 20MP Monochrome sensor with a f/1.6 aperture, but Huawei has added intelligent AI to the mix. The Mate 10 will recognize what you're taking a picture of, and adjust the settings in order to get the best image. We've seen this work in a brief demo, and it's very impressive. What's also impressive is the claimed battery life – two days of normal use. This is due to the large 4000 mAh battery, as well as the better optimized processor, software and display. Now, the Huawei Mate 10 is really aimed at business users, so it comes with some very intelligent software with that in mind. The coolest feature we've seen is the ability to plug the phone into any screen using a USB-C to HDMI cable turning it into a mobile workstation (like Samsung DeX without the Dock). The screen can also be turned into a trackpad and keyboard. It'll also intelligently mute notifications if you're screensharing a presentation. The Mate 10 will come in Blue, Brown, Pink, Gold, and Black. There's also a Porsche Design model. The Huawei Mate 10 Pro will be coming to the UK, priced at €799, AU$1,099 (around $940, £710). It'll be available in November. The standard Mate 10 won't be launching in the UK, initially.